This entry was posted in Uncategorized and tagged exercise, fitness, half marathon, health, losing weight, run, running, training, triathlon, weight lose. Bookmark the permalink. Yeah, I would agree with you. Although, I think my mind was struggling this weekend too… which is a killer out there. This is why they call it endurance sports. It’s for the truly miserable moments you want to quit but don’t. 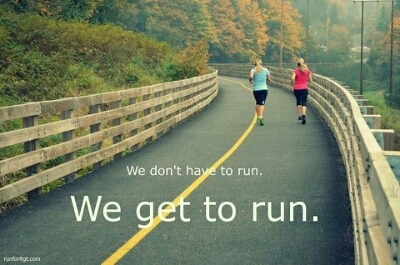 Don’t let one bad run ruin you. And cause you to doubt yourself. Christ. If I threw in the towel every bad run, I’d be permanently glued to the couch in a Real Housewives Haze. Without the bad, the good isn’t as sweet. Besides, never make a decision on a 90 degree day. Heat kills dreams.